Peyton’s Preserve is a gated community featuring 34 lots, each a half acre or larger. Built by Golden Hammer Construction and Duration Builders, these new construction homes are in close proximity to Alachua and High Springs restaurants, shopping, area nature parks and springs, and only 2 miles to Publix in Alachua. Starting in the $200,000 range, these homes are perfect for those hoping to set down roots in the Gainesville area. 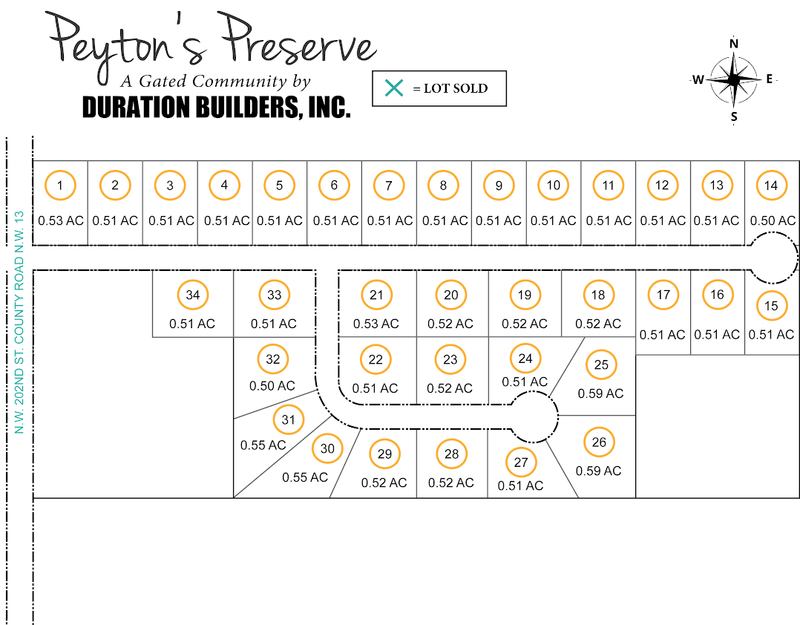 Are you interested in reserving your lot in Peyton’s Preserve? Fill out the form below and mention Peyton’s Preserve in the message and we’ll get back to you shortly.